Koya is located minutes away from Chinatown, 5 mins to be exact. 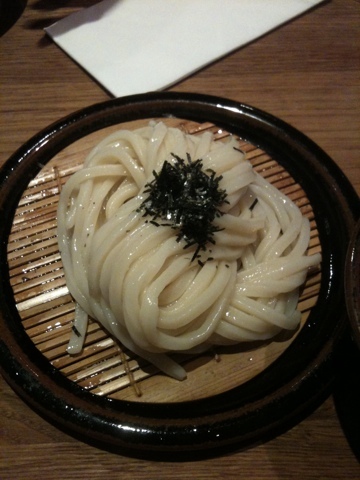 Renowned for freshly made udon on premises no wonder foodies alike flock to this place in soho. To be honest I wanted soba noodles, as other food bloggers mentioned that koya provides authentic Japanese style soba served exactly like Japan. When I went yesterday there wasn’t any soba noodles options on the menu. 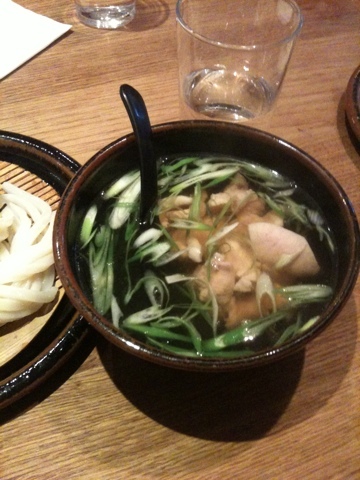 I opted for the chicken udon, the udon is served cold, and you dip it into a hot broth. 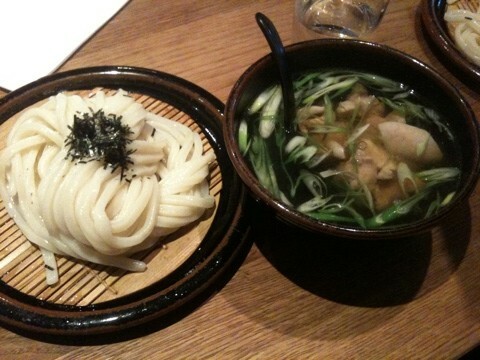 The udon was delicious, and didn’t had that too much flour taste in the noodles, the dashi was flavoured, not the usual bonito dashi and the chicken was so tender. The dish cost me £10 including a 10% service charge. A must visit for udon lovers.